Tonight we are looking at something rather special that is often overlooked and forgotten. Commander B is the oldest surviving Hawthorn Leslie locomotive in the world, built in Newcastle works in 1899! She was originally named Newcastle but when she arrived Hollycombe was renamed after the collection’s founder, Cdr. Baldock. The engine was purchased by the Admiralty of the Royal Navy in 1899 for use in Chatham Dockyard and brought to Hollycombe for restoration in 1985, several years after withdrawal from the docks. Sadly due to the costs of the overhaul and the unforeseen boiler repair costs work never begun and is currently being stored in the open on tracks of the abandoned standard gauge line. 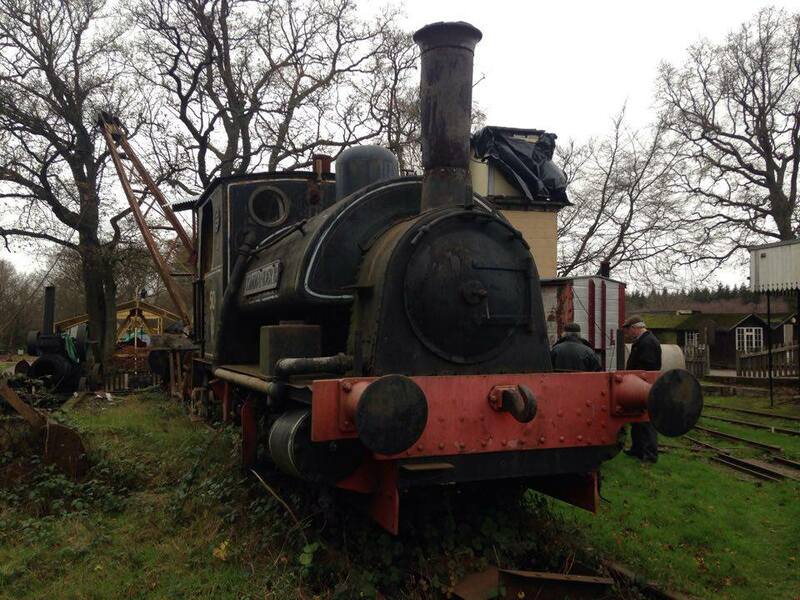 Its been reported in several railway magazines over the last few years that Chatham are interested in purchasing the locomotive back but she still can be found at Hollycombe overlooking the narrow gauge railway. I hope you enjoy this look at this forgotten diamond in the rough. 05/12/2015 in Brookes Castle, Region - Industrial. Was hawthorn leslie of newcastle upon tyne?